The trustees of the Cooper Foundation have announced the retirement of long-time trustee, Linda Crump. 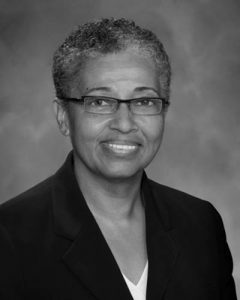 She joined the board in 2009 while serving as Director of the Office of Equity, Access and Diversity Programs at the University of Nebraska-Lincoln. Crump, the first person of color elected to the board, chaired the Research Committee for many years and served on the Executive Review Committee. Crump, an attorney, was the first person of color elected to the Nebraska Bar Association’s House of Delegates and was the second woman and the first person of color to serve as president. A hallmark of her term was creation of the Leadership Academy, encouraging more inclusive leadership within the Bar. She also co-chaired the Bar’s Nebraska Minority Justice Committee and received the Bar Foundation’s Legal Pioneer Award. Crump recently served on the boards of the Community Services Fund and West Gate Bank, the Lincoln Community Foundation, and as a volunteer at the International Quilt Study Center & Museum. The University of Nebraska-Lincoln honored Linda and her husband, Gene, with the Martin Luther King Fulfilling the Dream Award for their advocacy over many years. Linda is a past board member of the Nebraska Commission on the Status of Women, Homestead Girl Scouts Council, Nebraska Public Radio’s Advisory Board, Planned Parenthood of Nebraska and Council Bluffs, Nebraska Arts Council, Senior Center Foundation, Legal Services of Southeast Nebraska, Harris Laboratories Institutional Review Board and the Martin Luther King and Chief Standing Bear Celebration Committees. She was also named one of Nebraska’s powerful women by The Lincoln Journal Star. A $10,000 grant for the purchase of new vans for the Clyde Malone Community Center was designated by Linda and approved by the Cooper board to honor her service to the Cooper Foundation.